Deadpool, Wolverine and the other characters in the X-men universe will now be under the Disney umbrella. Disney is buying a large part of Fox , but Fox News Channel and other U.S. television businesses are staying with the Murdoch family. Besides classics such as Mickey Mouse and Goofy, Disney already owns several iconic franchises, including the Muppets, "Star Wars" and Marvel superhero movies and comics. It operates a major movie studio and several TV networks, including ABC, ESPN, the Disney Channel and Freeform. With the deal, Disney gets the Fox movie business, including Twentieth Century Fox, Fox Searchlight Pictures and Fox 2000. 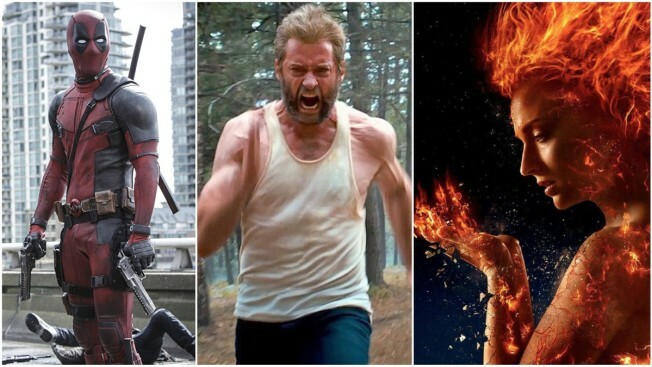 Fox held rights to some Marvel characters; this deal will bring Marvel's X-Men, Fantastic Four and Deadpool under the Disney roof. Disney will also take ownership of the "Avatar" franchise, which has already spawned a Disney theme park ; sequels are on the way. In terms of television production, Disney will get Twentieth Century Fox Television, FX Productions and Fox21, with shows including "The Simpsons" and "Modern Family." Disney will get at least a 39 percent stake in European satellite-TV and broadcaster Sky. Fox is hoping to acquire the remainder of Sky before the deal closes, giving Disney full control. Disney is also acquiring Star India, a major media company with dozens of sports and entertainment channels. Disney, a co-owner of Hulu, will get Fox's share in the streaming company, giving Disney a majority control. There's been speculation the Murdoch family will try to combine News Corp. with what's left of Fox, though Rupert Murdoch told investors Thursday, "We haven't thought about combining with News Corp."